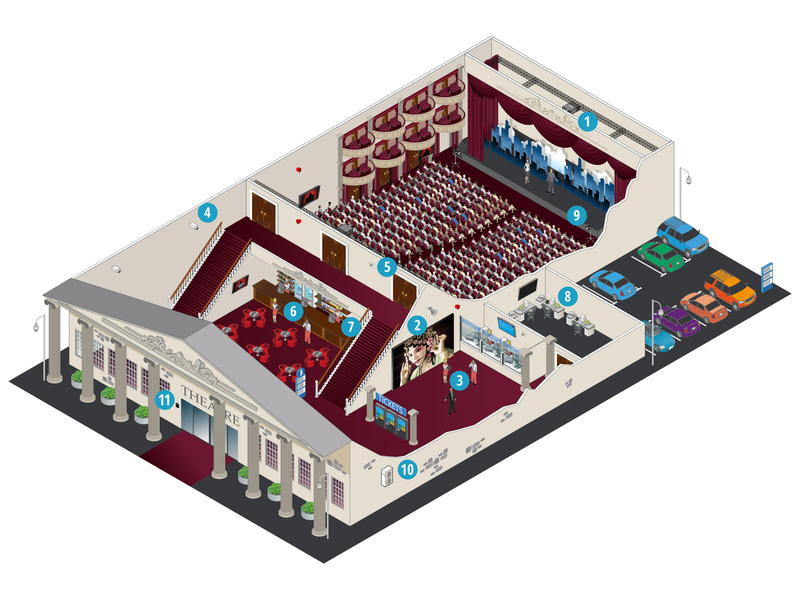 How do Panasonic solutions support theatres and cinemas? Hotels and conference centres are faced everyday with new guests and visitors. It’s a big challenge to build an infrastructure which can be managed by untrained staff but also fulfil high-end requirements of functionality and reliability. Panasonic provides a wide range of equipment which helps you to deliver impressive events, conference and meetings – regardless of size or specific requirements – with minimal effort and power consumption. Our complete range of large-venue video projectors boasts the highest reliability and robust-yet-lightweight bodies, ensuring the overall cost of ownership can be kept down, even in the most challenging large-venue environments. A long-established provider of leisure-specific communications, Panasonic offers solutions that include hospitality-specific features and tailored applications that enable you to implement advanced business processes.